New York is a city in a constant state of rebuilding itself. 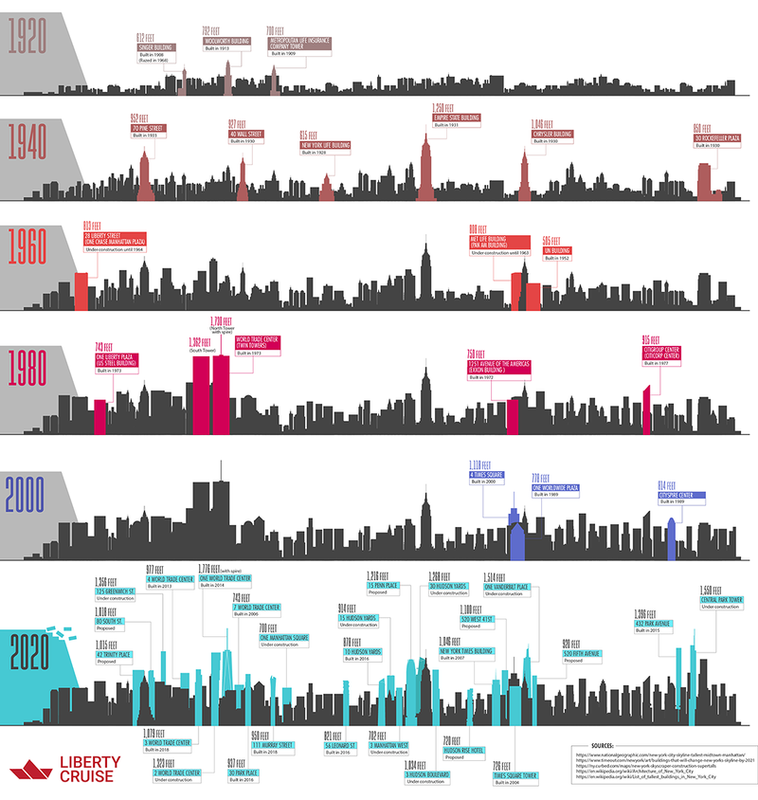 The Manhattan skyline has constantly pierced new heights, especially during the last century, defining what a metropolis could be. The 1920's brought the Woolworth Buildng and the Met Life Tower. The 1940's saw the Art Deco ascension of the Empire State and Chrysler Buildings. The 1960's saw the Modern developments of the United Nations and the Pan Am Building. The 1980s saw the rise of the monolithic Twin Towers, while the 2000's brought about the construction of One Worldwide Plaza. By 2020, the face of the skyline will have changed again, with the mega-towers in NYC changing the landscape again. From One World Trade to One Manhattan Square to Hudson Yards to Central Park tower and 432 Park Avenue, Liberty Cruises tracks the heights of this great city. Dreamforce is now less than a week away, and I couldn't be more excited! I'll be speaking this year on a Trailblazer Spotlight panel entitled "Top Insights from B2B Marketing Experts." The panel will take place on Wednesday September 26th from 4-6pm at the Palace Hotel at the Pardot Station (Pied Piper). Bookmark to save the session in your Agenda Builder, though seating will be first come first serve. 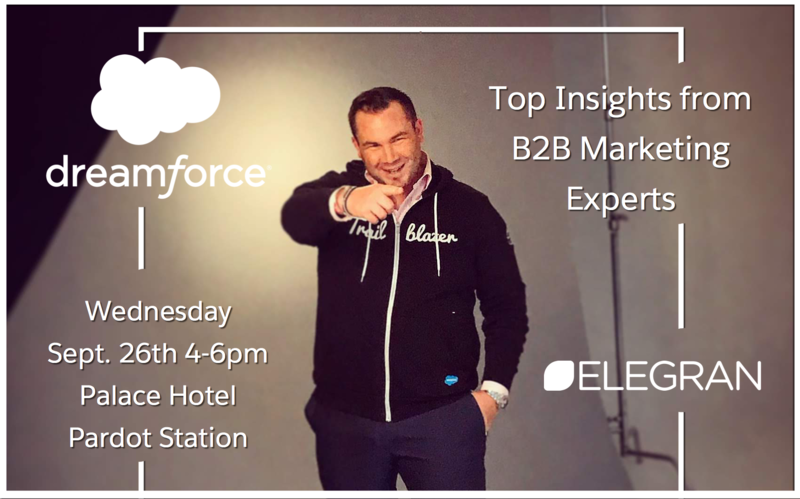 Come learn about how Elegran has used Salesforce and Pardot to revolutionize our marketing stack, and becoming renowned as America's "Most Innovative Brokerage". and lead nurturing using Engagement Studio at Dreamforce 2016. Announcing Gotham, the first Ducati Owners' Club in Manhattan New York City. 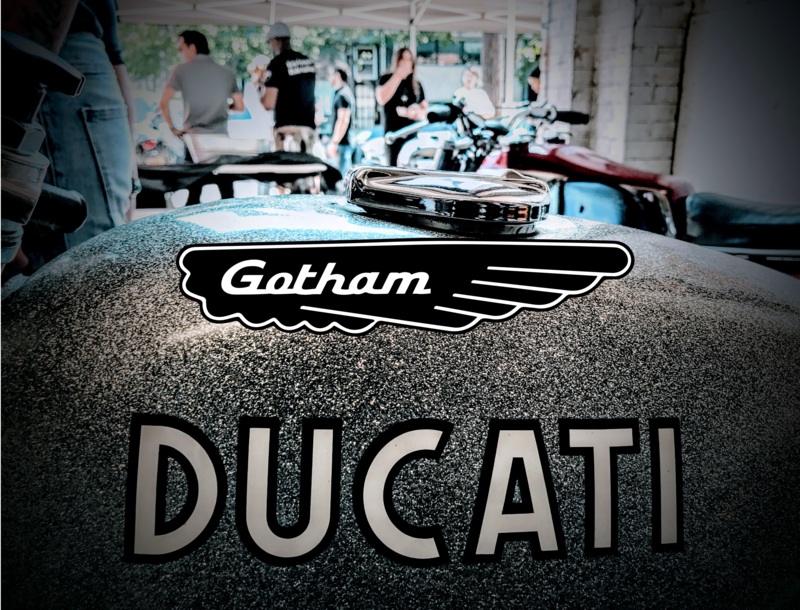 Officially backed by the factory in Italy, Gotham Ducati is a family of Ducatisti founded to celebrate the design and engineering of Italian Motorcycles! Last week, I had the awesome opportunity to present my Dreamforce presentation I did in San Francisco, back in my home city of New York at the World Tour at the Javits Center, about my firm's migration to Salesforce Lightning. 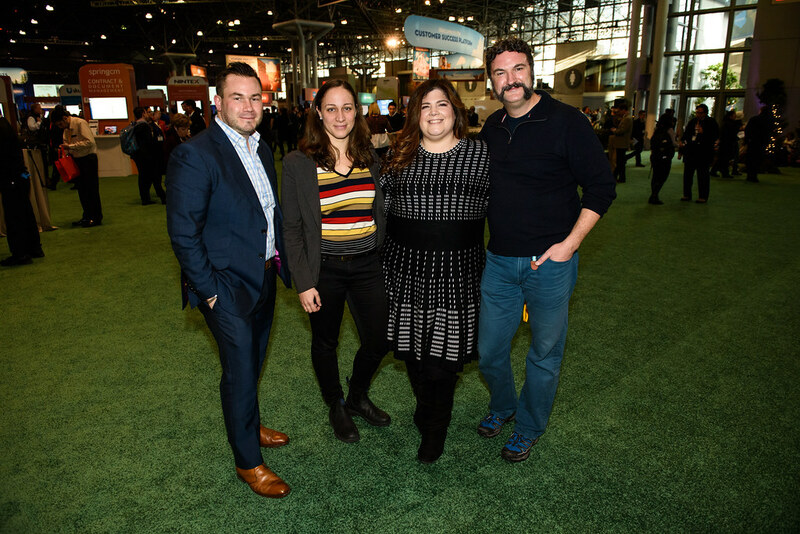 I was also proud to help introduce the New York City Salesforce User Groups in a session called "Meet the New York Trailblazer Community Group Leaders" with Becky de Loryn, Cheryl Feldman, Luke Cushanick and Amy Bucciferro. Last week I had the chance to visit Salesforce Tower again, and check out a live broadcast of "TrailheaDX" a San Francisco conference for Salesforce developers. The New York City viewing party was a blast, and I met a bunch of awesome developers and trailblazers. The coolest feature release was Salesforce DX Open Beta, an integrated development environment build for Salesforce Application development. "Salesforce DX provides you with an integrated, end-to-end lifecycle designed for high-performance agile development. And best of all, we've built it to be open and flexible so you can build together with tools you love." 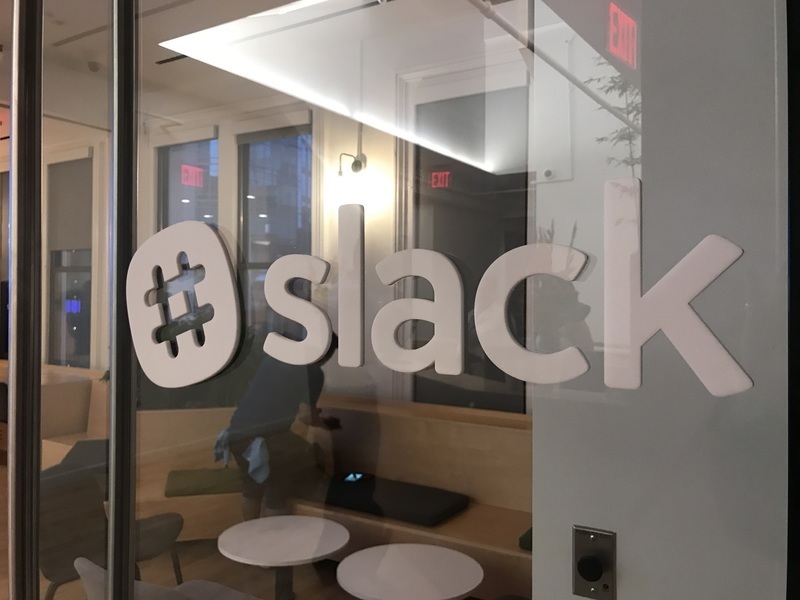 I had a chance to visit Slack's NYC headquarters last week, for an event about building better chatbots for users. Whether it be Slack, Snapchat or Facebook Messenger, chat (as a medium) has largely surpassed social media in terms of engagement and time spent on platform. Therefore as the chatbot space becomes more crowded, setting standards for chatbot development best practices (especially standards for user experience) is crucial for individual chatbots to succeed. I've long been a Slack chatbot fan (and was recently highlighted as a Statsbot super-user on their website). Bear Douglas, the Developer Advocacy Lead at Slack (formerly of Facebook and Twitter), led the talk, and had some interesting insight into successful chatbot development. 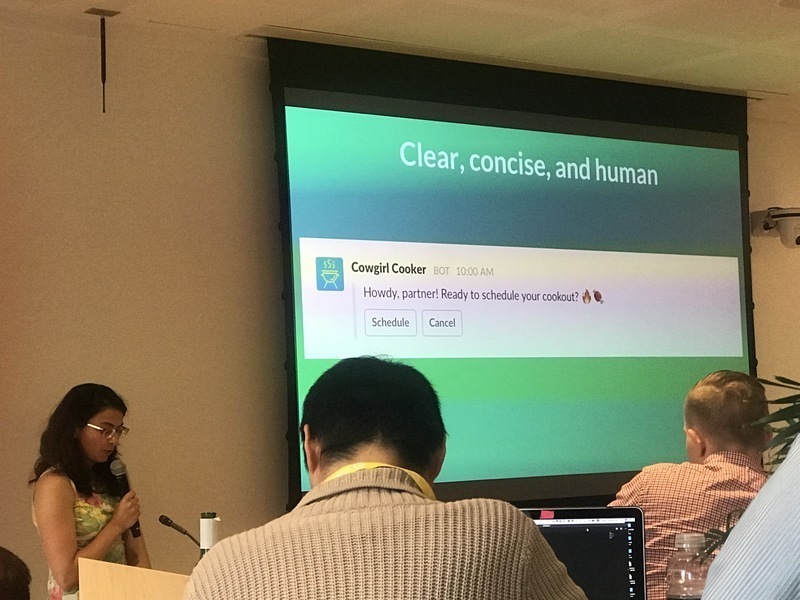 Firstly, when building a bot for the Slack App Directory, follow the basic guidelines like outlining your use cases, understanding your audience and creating guidelines for messaging. Secondly, focus on the clarity of intent, and make sure you create an easy onboarding experience. Ensure your bot's diction is clear, using action words and inclusionary language. I had a chance to chat with Bear Douglas after the event, and mentioned I was impressed at how much the app directory had grown in the several years since I've adopted the platform. I told her I had heard that Slack was kind of fulfilling the potential of what Twitter once had claimed; becoming a platform (for people to develop upon) rather than just a messaging app. She quipped back, that "yeah, that's true, we do say that a lot... though that might be because most of people here-- we came directly from Twitter. The office was very cool as well. Last weekend, the rains were coming down on the Lower East Side, but the sun came out during the afternoon on Saturday. Outside of my apartment, I saw some bizarre cloud cover filling the neighborhood, and the permeating smell of woodsmoke. Curbed has some fantastic photography of the interior of the synagogue. I had take some interesting photos of my own over the winter. Apparently, there is a teen already charged for starting the fire, but it's valuable real estate right in the middle of one of the biggest redevelopment projects in Manhattan, so I'm a bit skeptical that he acted on his own. 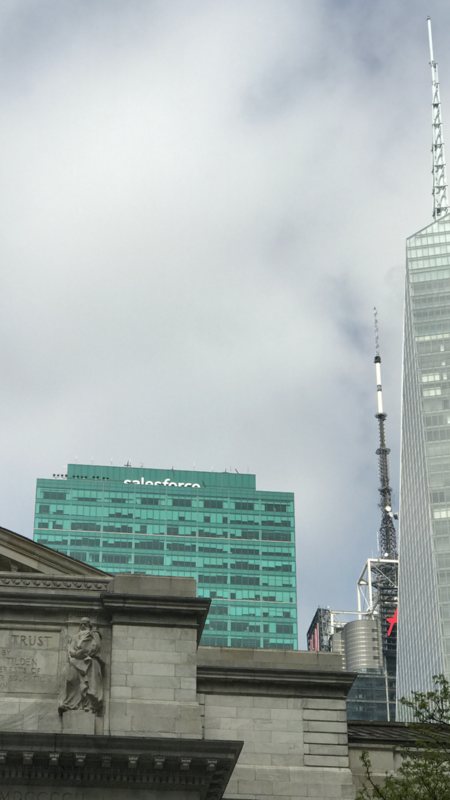 Either way, it was kind of neat to see Salesforce's logo peeking out above the New York Public Library, over Bryant Park, next to the Bank of America Building, the same week I was asked to sit on a Salesforce Customer Advisory Board for Pardot. 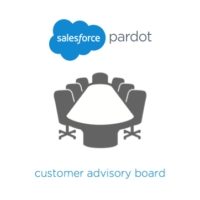 Looks like Salesforce and Pardot are the future! Last winter, I was incredibly inspired to see Dan Doctoroff at Inman Connect. Doctoroff was previously deputy mayor under Michael Bloomberg and is now CEO of Sidewalk Labs, and he philosophized on technology as the fourth major revolution to shape the course of human social organization. Beginning with the “steam revolution,” the train and the industrial revolution moved agrarian societies into cities, creating economic benefits and social hazards for humanity. “Electricity” allowed population density to compound, offering (to avoid repetition) civilization unprecedented control over their own environment, creating artificial illumination, and giving birth to the modern skyscraper. The “automobile” allowed cities to expand, both with the benefit to human mobility, but wreaking havoc upon urban infrastructure that was not built to sustain automotive commuters. Sidewalk Labs aspires to be a platform of programs and initiatives that address the ways digital transformation will transform modern cities, from data aggregation and pattern analysis to home and system automation, as well as sustainable design and architecture. They look to address the challenges and opportunities facing urban life, with their most notable project to date being LinkNYC, a free WiFi, phone call and device charging initiative, as well as to replace payphones, whose kiosks started dotting Third Avenue in Midtown earlier last year. Chris Bledsoe presented on Ollie, a company built around affordable luxury. “Ollie revolutionizes the living experience for urban renters with professionally designed, fully-furnished studios and shared suites, lifestyle-relevant services, extraordinary amenity spaces and unique community engagement opportunities: attainably priced luxury.” The idea behind Ollie is that unused living space and luxury amenities drive up the cost of housing, making high-end rentals in densely populated areas in New York City unaffordable to most consumers. By building new constructions with micro-apartments, and communalizing luxury amenities, Ollie is able to offer community living and legitimate luxury rentals to residents that would otherwise be unable to afford them. One of Ollies revolutionary new projects is already under way in Kips Bay, at a 32 unit building called Carmel Place. Tyrone Poole is an incredibly inspiring figure. Once homeless as a result of an injury, Poole became incredibly frustrated by the lack of information and transparency around the rental application process in Portland, Oregon. Even when he was able to produce the funds to rent an apartment, he encountered an incredibly complicated network of application fees which make the process disproportionately difficult and expensive for those with bad credit or the homeless. Poole responded by pitching the city of Portland on a solution, who rewarded him with a grant to build NoAppFee.com, a standardized database that does everything from run credit-checks, to basically prequalify users for different buildings. Not only does the service tell members what buildings they will most likely qualify (saving the renter numerous application fees), the website offers specific advice on which penalties to address to increase the likelihood of a successful rental. NoAppFee has been incredibly successful in Oregon, and has expanded to Georgia and with plans to grow even larger. Perhaps the most inspiring discussion was led by Sidewalk Labs’ own Designer-in-Residence Eric Baczuk, who talked about “the high price of low innovation.” After presenting on some of the economic, ecological and social challenges facing affordable new construction, Baczuk went on to discuss the building and testing of Accessory Dwelling Units (ADUs). ADUs present the opportunity to bring down the cost of infrastructure in incredibly creative ways, producing modular housing at low cost and with minimal labor. ADUs can also be built with amazing home automation, with entry by facial recognition, biometric monitoring sensors, and cameras throughout the house, ultimately allowing artificial intelligent apps to adapt to a resident’s rhythm and lifestyle. Finally, Baczuk believes there is a huge growing demand for affordable housing, especially within the senior community. 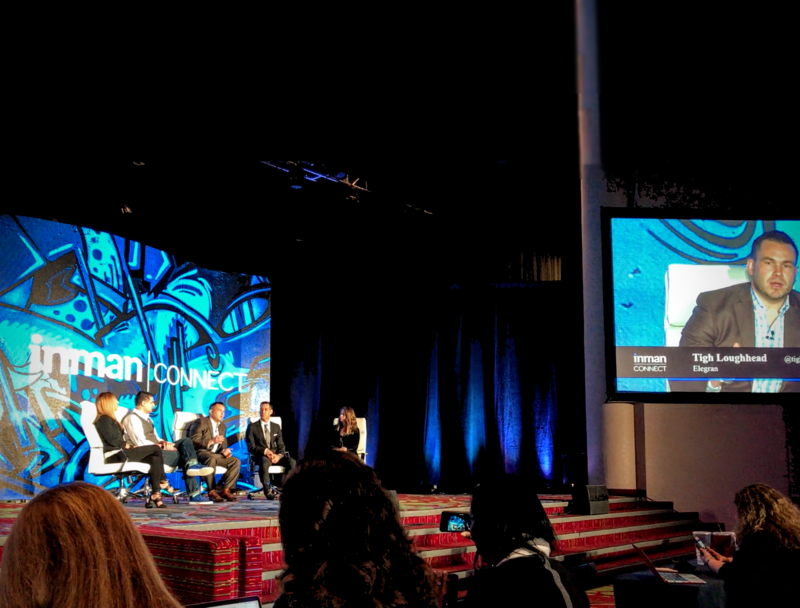 Last year, I sat in the crowd listening to Seth Godin evangelize upon permission marketing at Inman Connect, charging the crowd with enthusiasm. I heard Brad Inman wax poetic about "predictive analytics," which I think this year is already being supplanted by "prescriptive analytics," rooted in artificial intelligence, decision engines that actually recommend a course of action based on a desired outcome through machine learning, a subject upon which I've written a couple articles for Inman News. 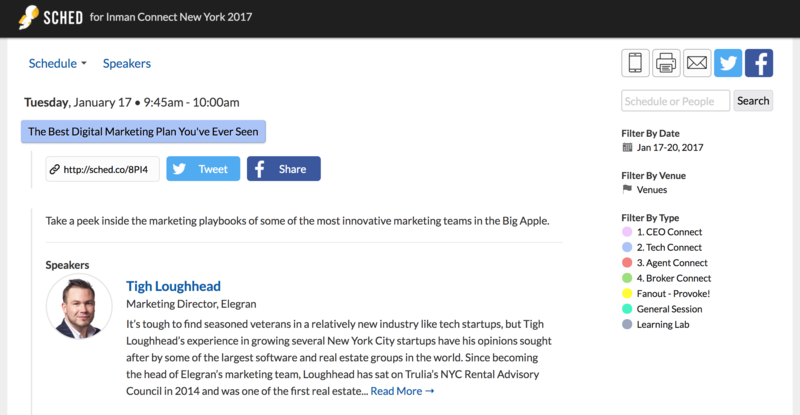 This year, I'll be taking center stage at Inman Connect 2017 at the Marriott Marquis in Times Square, with a few other real estate rockstars to share what I've learned about Digital Marketing over the years in a presentation called The Best Digital Marketing Plan You've Ever Seen. I'll be sharing my experiences about the buyer journey, client segmentation, and analyzing a marketing funnel throughout the customer lifecycle, so that marketers can build out data models around return on investment, and how stakeholders can make smarter choices with their money. 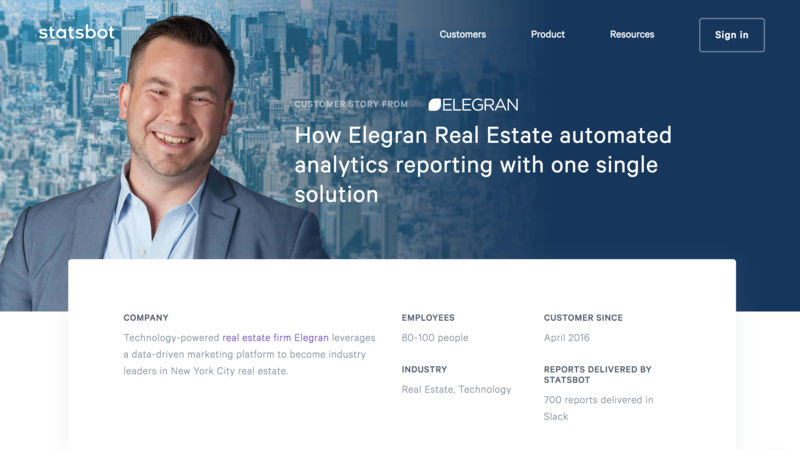 And, I'll be discussing how Elegran has built real estate as a scalable business model, closer to a tech company than a traditional brokerage, built on a foundation of technology and automation. I'm honored to be joining real estate and tech leaders like Rand Fishkin, the founder of Moz, the leading SEO platform (in my opinion), the CEO of Ellevest Sally Krawcheck, a digital investment platform for women, and Fredrik Eklund, a TV Personality / power broker. 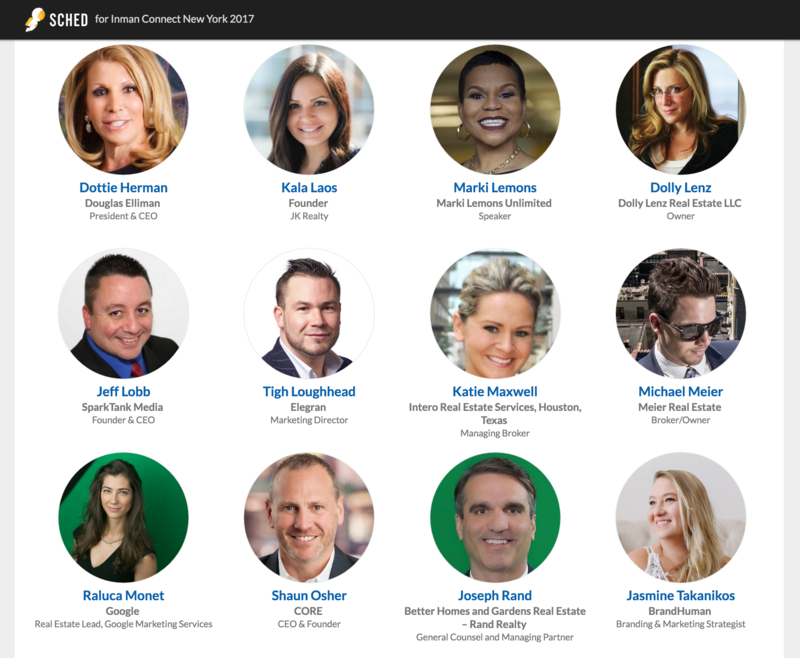 Please join the who's who of real estate (and me) on January 17th at 9:45 am in Times Square for ICNY17!